The forward has left German for France in search of game time and goals. Jacques Zoua has joined GFC Ajaccio from Hamburger SV. The Cameroonian joined the Ligue 1 newcomers on a free transfer from the Bundesliga relegation play-off survivors. Zoua pens a three-year deal at Le Gaz as they plan for their first time ever in the French First Division as AC Ajaccio remain in Ligue 2, following their relegation in 2013/14. Last season Zoua spent his time on loan at Kayseri Erciyesspor after joining Hamburg from FC Basel in July 2013. During his stint on loan in Turkey, he featured in 23 games, netting eight times. His career at Hamburger SV looked ever-so promising after joining from Swiss side Basel, a team who he played for over 120 times for scoring 24 goals. However, he failed to make a difference during a struggling spell at the Imtech Arena where he managed three goals in just 30 games. "I want to play football. Ajaccio have made ​​great effort for me to sign for them. I'm clear with Hamburg. I think in the next two or three days, a decision over my future will be taken", while interest from St. Etienne and Lille arose, he decided to take the plunge and join the 105-year-old team. According to L’Equipe, in Zoua’s contract, despite it being a free transfer, if Ajaccio sell 6’1” striker the German side will get a percentage of the future fee. 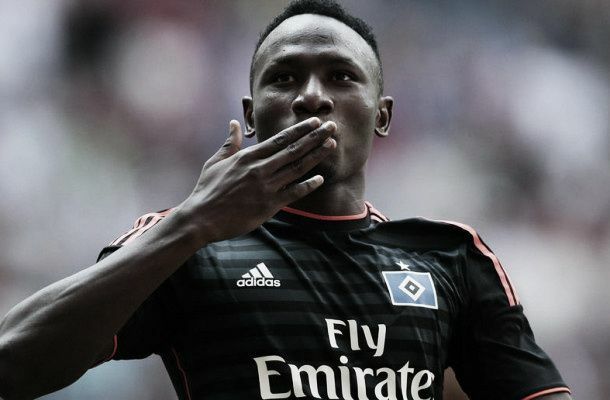 Despite the departure of Zoua, HSV still hold in their possession Philipp Müller, Pierre-Michel Lasogga, Sven Schipplock, Artjoms Rudnevs, Ivica Olic and Batuhan Alrintas, the 19-year-old is currently sidelined with a thigh strain and, although he may not start the match, he is expected to return for Hamburg’s season-opener away to Bundesliga holders Bayern Munich.